As well as the new MDM Apple TV options in iOS 7; Apple has released a support document on how to setup Apple TVs with just a tap from an iPhone, iPad or iPod touch running iOS 7. You will need a third-generation Apple TV running the latest 6.0 software for it to work. Users can transfer WiFi settings, Apple ID information, and language preferences to the Apple TV. This process works by utilising Low-Energy Bluetooth technology which is found in newer iOS devices. 1. Connect your Apple TV to your television and power and wait until your Apple TV displays the setup screen. 2. Unlock your iOS 7 device and ensure that Bluetooth is enabled. Also ensure that you are connected to the Wi-Fi network you want to use with Apple TV. 3. Touch your iOS device to your Apple TV and wait for the prompts to appear on your iOS device and Apple TV. 4. Enter your Apple ID and password on your iOS device. 5. 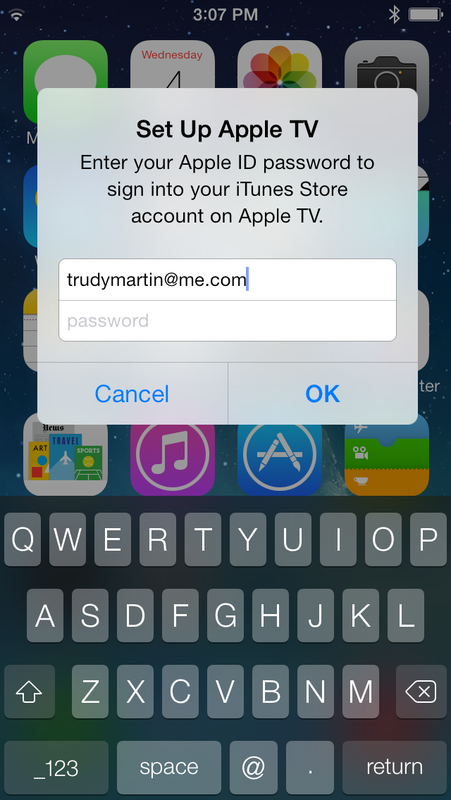 Choose if you want Apple TV to remember your Apple ID password, and if you want Apple TV to send data to Apple. 6. Your Apple TV will start the configuration process, including connecting to your Wi-Fi network, activating Apple TV, and setting up your iTunes Store account. Unless you have had your head in the sand for the last few months, you might of noticed that Apple has released they latest iOS operating. iOS 7 is the latest software update from Apple compatible with all current iPad 2, iPad with Retina display, iPad mini and iPod Touch 5th generation devices, as well as any iPhone 4 or later. Looking beyond the new colourful UI; iOS 7 is a major upgrade for MDM (mobile device management) education and corporate customers. Many companies and education institutes, rely on MDM’s to secure and push apps to iPhones and iPads. With iOS 7, Apple is offering MDM customers more control over devices and app ownership then ever before. A number of MDM’s have already announced day-one support for iOS 7, including Maas360, AirWatch and JAMF’s Casper. It’s quite incredible how far Apple has come in the enterprise market that was once ruled by BlackBerry. BlackBerry is now just a shadow of its former self, being sold off for $4.7 billion or about what Apple made on iPhone 5c/5s sales in the first weekend. Even with the launch of the Volume Purchasing Program 2 years ago, buying and assigning apps has still been a pain. Deploying apps in the layered ownership model meant users would not have the ability to update apps without the corporate Apple ID password or re-syncing with Apple Configurator. If you went down the Personal model. You would have needed to ‘gift’ the apps to the user. If the student or employee left, the app and its cost left with them. Under iOS 7, MDM’s can now assign VPP licenses to users. When a user leaves, the school or business can revoke the licence and resign it to another user. This works by placing the app in the user’s personal purchase history, allowing them to download updates without needing the corporate Apple ID password. When an app is revoked, the user is given 30 days to purchase the app themselves before the app stops opening. This also works for iBook books. Now IT administrators can configure which apps go down your VPN. This means, only the apps that need access to your corporate network will use the VPN. No longer will your VPN be full of users trying to upload Instagram photos of their lunch. All new devices now come with Apple’s iWork and iLife suite for free. This includes Pages, Keynote, Numbers, iMovie and iPhoto apps. That’s a saving of over £27 per device! In the upcoming release of OS X Mavericks Server, Caching Server 2 supports iOS 7. Caching Server 2 works by caching) purchased content from the App Store, iTunes Store and iBooks Stores on OS X Mavericks Server. This means your users get faster downloads of all their content, including software updates without taking up all your internet bandwidth. Instead of downloading an iOS update for every user (which could be as big as 1GB), the Caching Server only downloads the data once and distributes that to users over the local network. The Apple TV has become very popular outside of the living room. They offer a convenient method for users to display content from their iPad to a TV or projector screen wirelessly. For anyone who has every been tasked with setup up multiple Apple TVs, you will share in my pain. Entering those WiFi codes with that little remote! Luckily Apple is streamlining this process with iOS 7 by letting you enrol your Apple TVs into your MDM. No longer can you accidental tweet your companies latest sales figures! 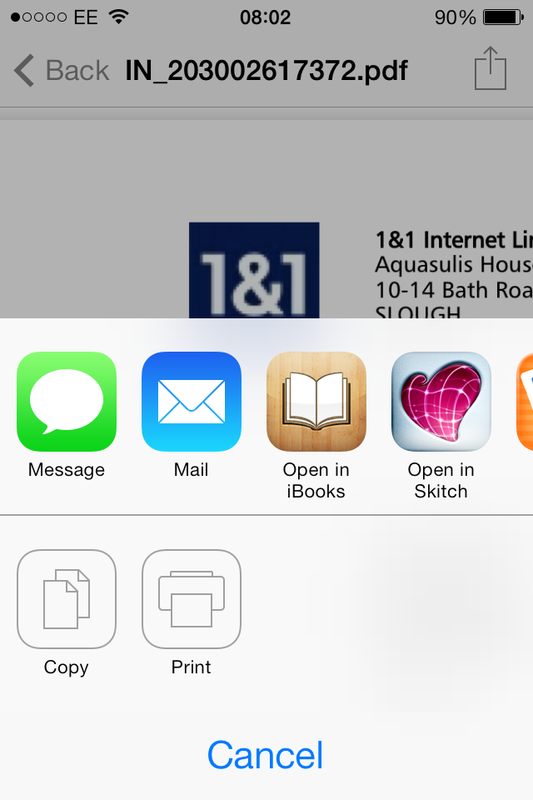 When you open a file on a iOS device, you are presented a screen called the “Share Sheet”. This lists all the apps that can accept that file type, e.g Open document in Pages or Share image to Facebook. IT administrators now have control over which apps can process corporate data. This works for both apps and email accounts which means the users personal apps and email, work as normal. So don’t worry, you can still share those photos from the company party! Moovweb have created a great parody of Apple’s latest iOS and iPhone event. Onefruit offer a wide range of USB charge and sync stations to help IT administrators upgrade multiple iPads to iOS 7. Learn more about our iPad charging stations. Welcome to the Onefruit blog, suppliers of USB charging stations and custom iPad charging cases. We are here to post regular updates on industry news and continuous education for our clients.